Project Claustrum — A small project which is starting to make a big difference. Project Claustrum — A small project which is starting to make a big difference. 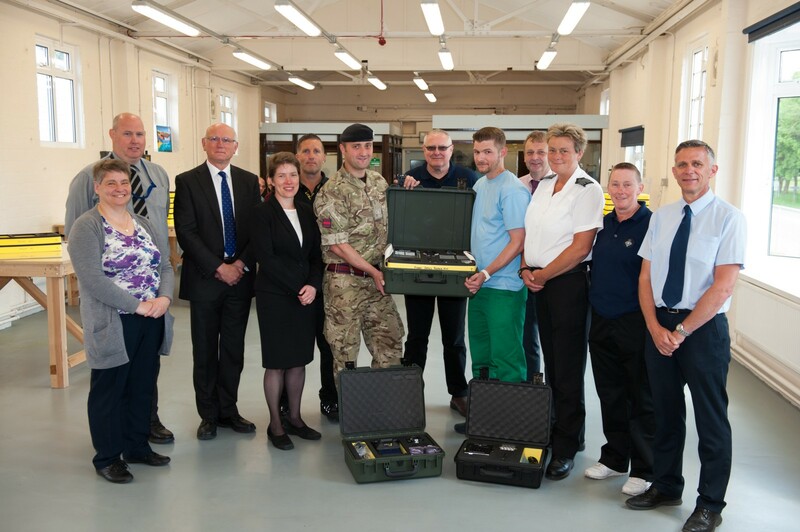 Hundreds of prisoners are building skills and confidence by manufacturing equipment on behalf of DE&S for the Armed Forces, aiding their prospects of employment on release whilst saving the MOD and taxpayer significant sums of money. 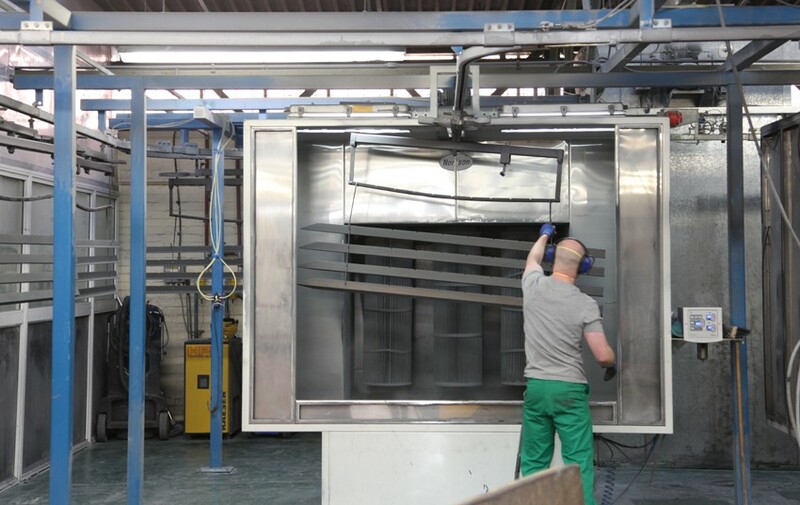 In the coming months around 50 offenders at Lindholme prison, near Doncaster, will start the refurbishment of a large number of Demountable Rack Offload and Pickup System (DROPS) flat racks – a project that will generate millions of pounds worth of savings to the MOD. Elsewhere, in a number of prisons across England and Wales, more than 900 offenders will begin to manufacture a range of camouflage nets used for the Armed Forces – gaining meaningful employment in work previously carried out in the Far East. These are two of the latest of several initiatives organised through Project Claustrum (Latin for prison), a collaboration between the OIP Team of DE&S which identifies the need and ONE3ONE Solutions – part of the Ministry of Justice (MOJ) — that in turn identifies prisons able to undertake the work. The two parties work together to deliver mutual benefits to the UK taxpayer, both in terms of savings to the MOD and reducing the risk of reoffending upon release. Evidence shows having sustainable work on release significantly reduces reoffending; the work provided by the MOD supports efforts by prisons and prison staff to gain offenders such employment opportunities. Since its launch only 15 months ago, DE&S is already the biggest external customer of ONE3ONE Solutions, and in the next few months Project Claustrum will provide work for more than 1,000 prisoners of the prison population that currently stands at around 86,000. Other work being undertaken by prisoners for the MOD includes the preparation and repair of toolkits, the recycling of serviceable tools, and the repair of jacks that were previously deemed Beyond Economic Repair — saving the MOD 50 per cent compared to buying new. The provision of textile products has also recently commenced, with sandbags, camouflage nets and small canvas products, leading to the manufacture and repair of heavy canvas covers later this year. “Claustrum is an innovative project, bringing benefits to both the MOD and the MOJ, with an additional social dimension. 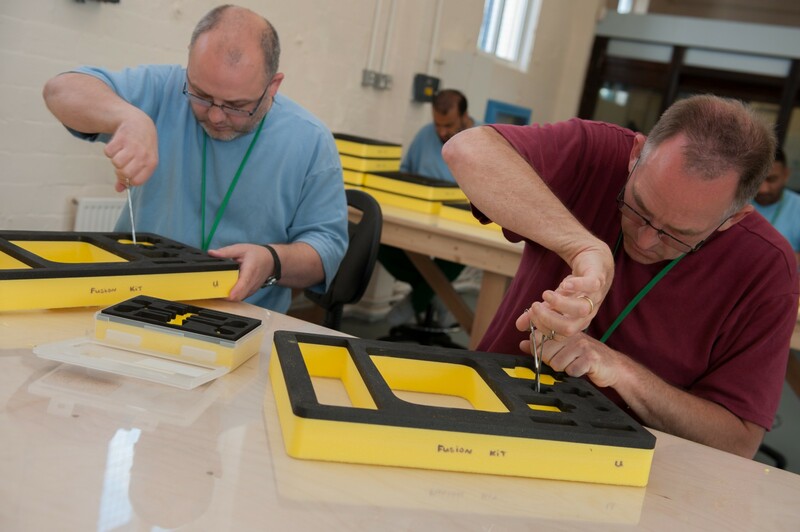 Everyone benefits: the MOD receives quality equipment at lower prices, the MOJ gets real work to fill prison workshops, offenders gain skills and a work ethic to help reduce reoffending. Taxpayers’ money is put to maximum use. In addition to the obvious financial benefits, it’s also been found that the regular work provided by the MOD is valued by prisoners who understand their efforts are ‘supporting the Armed Forces’. Often this can be the first step in engaging with the support offered in prisons in rehabilitation. DE&S are responsible for equipping and supporting the UK’s Armed Forces for current and future operations.